How to Solve “Plex Not finding a MP4 movie” problem? Plex comes with media server that can play and organize various audio / videos efficiently. This media player is also integrated with online service and makes users to access or collect media files across laptops, mobile phones, TV, Tablet, Xbox, Roku and other devices from number of sources. MP4 is mainly used as audio/video container in Plex media player. However, some of the users face difficulties while playing MP4 files on Plex, such as “MP4 files not seen in Plex”, “Plex won’t play MP4 files”, and so on. This kind of situation might arise if MP4 video file header gets corrupt due to virus attack and other issues. MP4 video file will not play properly when you abruptly terminate Plex media player or sudden crash of Plex media server while playing MP4 file. Or unexpected system shutdown when MP4 video is opened in Plex media server even makes it not to play. Low internet connection while streaming Plex MP4 file via online also leads to same situation. Other than previously discussed causes, there are various events due to which Plex cannon play MP4 file. Firstly, make sure you’ve added the directory to your library and updated it. Plex requires a special naming convertion for TV shows in order to download the metadata of them properly. If your MP4 videos are TV shows, please try to rename the MP4 files so they have simpler names (e.g. Series – S01E01 – Episode Name). Most time, I don’t care about the metadata. There is another solution. We can make a new library or pick Other or Personal Media and put the MP4 TV shows in there. After that, these MP4 files will show up and be streamed to TV. If it does not help, more than likely it is a permission problem. You need to change the group ownership on the folders in which you save the MP4 files. Setting the permissions to be recursive is highly recommended. So the sub folders have the same permissions. Tried all the suggestions above but still had the issue in recognise MP4 files with Plex? Don’t worry. Maybe the codec in your MP4 file causes such issue. MP4 is only the container which supports several video/audio codecs. According Plex official websites, native video support is typically limited to the MP4 container, H.264 video encoding, and AAC audio. So come MP4 files which contain other codecs may not be streamed well. Well, this is not a difficult problem once you get an efficient video tool like Wondershare Video Converter Ultimate. As a professional MP4 decoder, encoder, editor, burner, downloader and MP4 Player, Wondershare Video Converter Ultimate will help you to re-encode MP4 video to Plex compatible MP4 format. Its fast conversion time, high-quality output and extra features make it the perfect choice for video converter software. 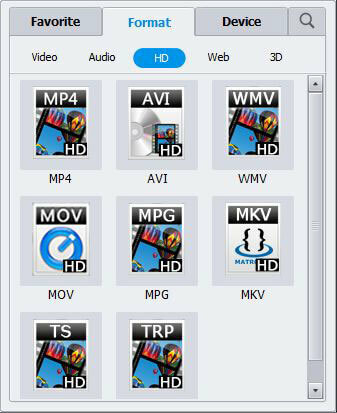 Wondershare Video Converter Ultimate accepts all of the common media file formats such as MP4, MPEG, WMV, AVI, FLV, etc., 4K, H.265, 3D, and even some rarely used formats like NSV and RealMedia. Apart from media files, you can load DVD from your DVD drive, folder, or ISO/IFO files. With more than 158 output options, you can convert your video to virtually any format. Some output options are conversion templates with optimized settings for playback on specific devices and platforms such as iPhone, Samsung Galaxy series, LG TV, PSP, PS3, PS4, and many more. You can even convert any normal 2D/3D video to 3D with its 2D to 3D converter. Before converting your video, you can also do some basic editing with its useful editing tool. Easily trim, crop, rotate, flip, add effect, add watermark, add subtitle, and view the changes with the output preview. Certainly a handy tool that everyone will love to use when necessary. What about its conversion speed and quality? This is probably your main concern if you convert videos and movies on regular basis. Wondershare claims that its product converts 30 times faster than other converters, which is certainly not true, unless it compromises majority of its quality for speed. To find out Wondershare’s conversion speed, I have done a comparison test with one of the top-rated and best free video converter – Handbrake. This test is conducted by using the identical video file and same conversion settings for both converter. Wondershare Video Converter Ultimate took 4 minutes and 50 seconds to convert a 2.5 minutes long MP4 video to MKV, whereas Handbrake took 15 minutes and 17 seconds to convert the same video (note that I was using a mid-end laptop with low CPU clock speed, you will probably get much better results). If you are using a Mac user, please turn to the Video Converter Ultimate for Mac, which supports converting MP4 files for playing on Plex on Mac, include masOS Sierra, El Capitan, etc. How to Re-encode MP4 to Plex supported MP4 formats? Step 1. Free download the best MP4 to Plex converter on your computer, install and run it. The above is a detailed guide on how to convert unsupported MP4 to Plex supported MP4 video in order to successfully play MP4 on Plex with no restriction. When corruption of MP4 file is causing it to not play in Plex, then one can also rely on reliable video file repair utility to make MP4 file playable on Plex. The Best MP4 Repair program uses advanced algorithm, which easily repairs MP4 files that doesn’t play in Plex media player on both Windows and Mac operating systems. It has capability to fix severely corrupt Plex MP4 file. You can also repair MP4 not playing in MX player, Windows Media Player, QuickTime, VLC and lot more media players. This tool repairs Plex MP4 file damaged due to number of reasons like header corruption, CRC error, virus infection, etc. Other than MP4 file, this video file repair software also helps in fixing other video file formats like MOV and M4V. This tool easily runs on various Windows (Windows Windows 10, 8.1, 8, 7, XP, Vista, 2008 and 2003) and Mac (Mac OS X 10.12, 10.11, 10.10, 10.9, 10.8, 10.7, etc. operating systems. 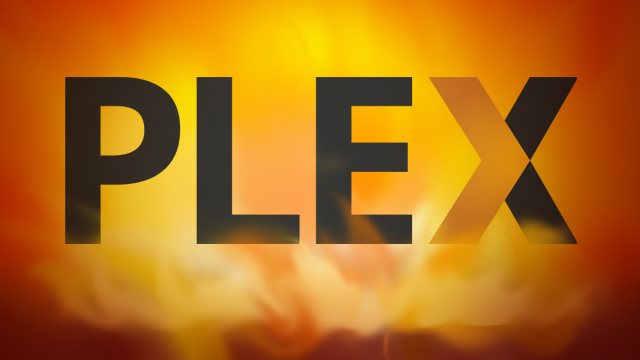 Now, you can play the converted or repaired MP4 videos on Plex. Open Plex and import the MP4 files into the library and use local network to stream from Plex with your iPad, iPhone, Roku, Xbox 360, Xbox One, PS4, Chromecast, etc. How to Play MP4 video on PS4 from USB Drive? How to Encode MP4 to MPEG-2 for Playing in TV stations, TV receivers, DVD players, Non-linear editing software? ← WD TV can’t Open MKV files? Why? How to Solve? Hivimoore Tell You! 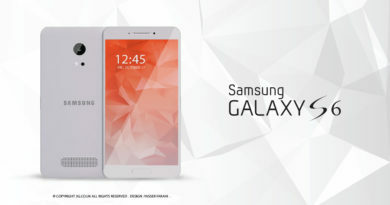 Galaxy S6/S6 Edge can play MKV, AVI, M4V, FLV, VOB, WMV, Xvid Videos? Great for video conversion and screen cast. It is very fast and has good options for combining many MP4 videos to one. Your Video Converter Ultimate solved all my Plex MP4 video incompatibility issues. I like it! Thanks for doing me such a big favor! I’m very satisfied with the product which converts my MP4 video files to Plex compatible formats my pc. 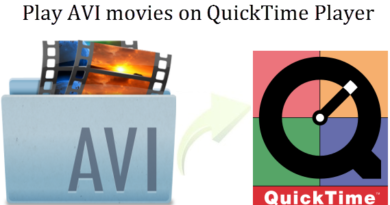 This is the best and simplest mp4 video converter I’ve used. Easy-to-use interface, powerful functions and supports almost all popular video and audio formats. Just love this tool!